Service is available at more than 2700 Pinnacle certified dealers across the United States and Canada. Pinnacle pays 100% parts and labor on covered repairs. Minimal deductible may apply. $150 towing allowance is INCLUDED. $100 rhoist ans halout is INCLUDED. $50 service call reinbusement is INCLUDED. 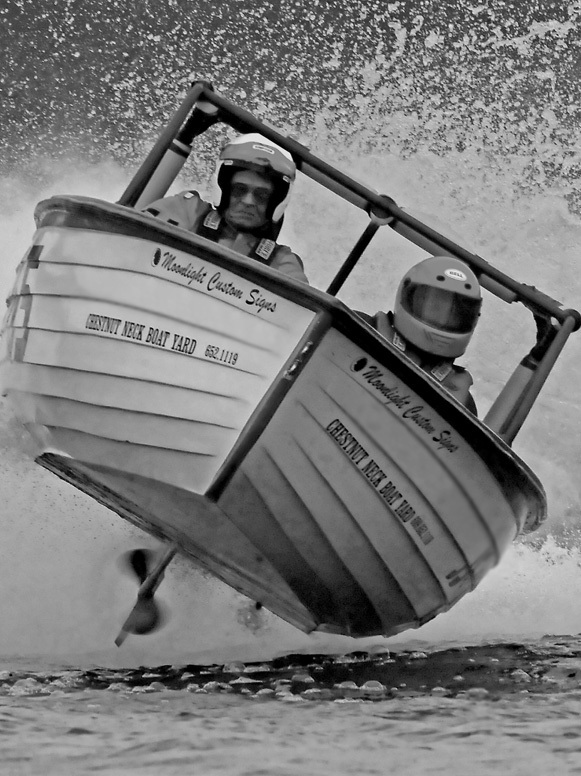 Protection plans are always used the first year or in the last few years of owning your watercraft. 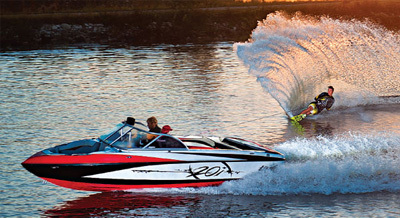 In the first year protection plans are needed to get all the bugs out of a new watercraft. The last few years are due to usage and time. Manufacturers know exactly how long their engines are expected to last and that's usually the time something breaks. By owning a Pinnacle Protect Plan, the risk and responsibility of the repair costs are taken off you and placed on us. - Cylinder head and cylinder block (if damaged as a result of the failure of a covered component). - Gearcase housing and /or propeller shaft ( if damaged as a result of the failure of a covered component). - Controls, cables and P.C. Board. 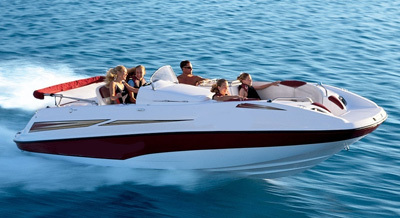 Watercrafts are very expensive and maintaining them can be even more expensive. These are just some of the average cost to repair an outboard motor. To avoid any type of confusion, we have laid out all the details of the Inboard/Stern Drive/Diesel Engine protection plan. Select a component below for all the details. If anything is not clear, do not hesitate to contact us at 888-999-6860. For email, CLICK HERE. - Diesel engines only. turbocharger housing and all internal parts. - Center yoke, drive yoke. - Pump housing (if damaged as a result of the failure of a covered component). - (Pump impellers are excluded from coverage). - Control rack and yoke assembly: power steering pump, power steering cylinder, steering wheel and coupling, steering cable, steering rams. The more parts there are in a vessel, the more repairs it will require. These are just some of the average cost to repair an inboard motor. Service Call Reimbursement up to $50 anytime a covered component fails requiring repair. Up to $100 for the actual cost of hoist/haulout anytime a covered component fails requiring hoist/haulout to facilitate diagnosis of repairs. 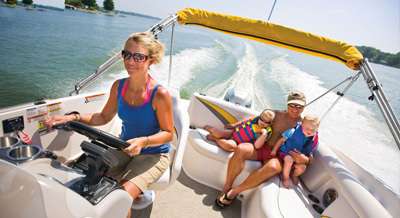 Plan benefits are transferable, which increases the resale value of your water craft. Up to $150 for towing anytime a covered component fails causing the Watercraft/Engine to be towed either in the water or on land. Go beyond the basic package. Customize your personal protection plan to meet your needs. Listed below are the optional add-on packages to your already superior coverage. Choose the package that best suits your needs. AUXILIARY POWERPLANT (GENERATOR) COMPONENTS: All internally lubricated parts of the powerplant engine, plus the starter, switches and generator assembly, seals and gaskets and power inverter/converter. AIR CONDITIONING /HEAT EXCHANGE SYSTEM COMPONENTS: Compressor, evaporator, capacitors, relays, thermostat, fans, control panel, expansion valve, temperature control programmer, receiver dryer, blower motor, and heating element. FRESH WATER SYSTEM COMPONENTS: Water pump, compressor, water tank, water lines, traps, fittings, faucets. Hot. WATER SYSTEM COMPONENTS: Thermostat, relays, and water heater unit. WASTE SYSTEM COMPONENTS: Shower, toilet, and sink(s), fixtures and traps, holding tank, gate valves and fittings. APPLIANCES: Range/ cook top, oven, microwave, refrigerator, ice maker, trash compactor, and central vacuum system. 12 VOLT/24 VOLT/110 VOLT SHORE POWER COMPONENTS: Battery charger/converter, onboard receptacle, shore power main switch, circuit panel, and circuit breakers (shore power cables are not covered). ELECTRICAL CoMPONENTS: Battery main switch, battery isolator, battery selector switch, remote spotlight (excludes light bulbs), bow and marker lights (excludes light bulbs), and switches. 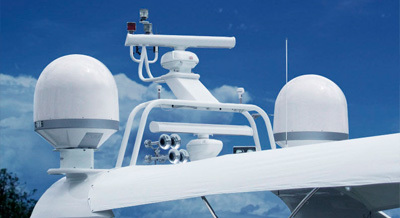 DUAL STATION/TOWER CONTROL SET COMPONENTS: Helm Control, throttle/shift control box. SPEEDOMETER & TACHOMETER COMPONENTS: Speedometer head, tachometer head, speed log, and speed sensor. STEREO SYSTEM COMPONENTS: Factory installed audio system (speakers are not covered). PLANING/TRIM TAB. BILGE COMPONENTS: Pump, manual control panel, bilge blower, and switches. GAUGES: Voltmeter, fuel gauges, trim position gauge, oil pressure gauge, water pressure gauge, and engine water temperature gauge. ELECTRIC TROLLING MOTOR COMPONENTS: Motor unit, wiring harness, controls, and cables. 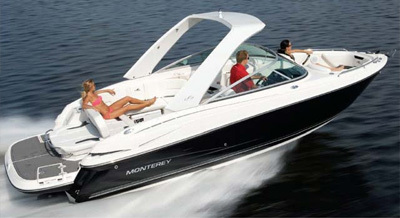 POWER TRANSOM/ MANUAL TRANSOM COMPONENTS (MOTOR LIFT): Motor, slides, jack screws, cylinder, and switches. ELECTRICAL COMPONENTS: Battery main switch, battery isolator, battery selector switch, electric horn, and electric fuel pump. BILGE COMPONENTS: Pump, manual control panel , bilge blower, and switches. ANCHOR CONTROL SYSTEM COMPONENTS: Winch, electric windless motor, bow pulpit guide, and switches. DEPTH FINDER COMPONENTS: Depth finder unit, transducer, and control cable. COMPASS: Compass head. SPEEDOMETER & TACHOMETER: Speedometer head, tachometer head, speed log, and speed sensor. BAIT WELL OXYGENATOR COMPONENTS: Aerator pump and timer. EXTERNAL WATER TEMPERATURE COMPONENTS: Gauge, temperature sensor, and control gauge. TRAILER COMPONENTS: Master Cylinder, Hydraulic brake actuator, backing plate, axle(s) brackets, bunks, couplers, fenders, hubs, roller cradles, spring hangers, welds, winch stand, suspension springs. Radar, sender/receiver unit, display screen, antenna, dome assembly, and cables. 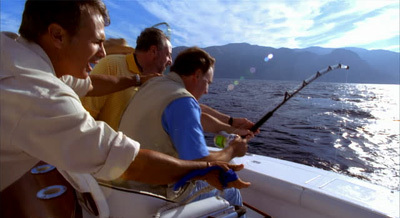 FISH FINDER: Display/receiver, transducer, temperature sensor, and cables. VHF RADIO: Transceiver assembly, speaker, microphone, antenna, and antenna cables. GPS: Display/receiver, antenna (including remote antenna), and antenna cables. LORAN: Receiver, antenna, pre-amp, and cables. AUTO- PILOT: Control head assembly, core pack, and drive unit. TRANSMISSION COMPONENTS: All internally lubricated parts, transmission mounts, and oil pan. Transmission case if damaged as a result of an internally lubricated Transmission Component. INTERMEDIATE HOUSING COMPONENTS (STERN DRIVE ONLY): Transom plate, U-joints, U-joint shaft and bearings, upper steering bearing and gimbal, tilt bearing and lower steering bearing, shift bellcrank, bushing and plug, center yoke, yoke drive. Intermediate or adaptor housing , upper gearcase, and upper gearcase housing if damaged as a result of an internally lubricated part. V-DRIVE COMPONENTS: All internally lubricated parts within the V-drive case. V-drive case if damaged as a result of an internally lubricated part. GEARCASE COMPONENTS (STERN DRIVE ONLY): Gearcase bearing and oil retainer (excluding prop shaft seal), driveshaft and upper bearing, shift rod and/or pinion gear, reverse gear, propeller shaft or shift fork. Gearcase and gearcase head if damaged as a result of an internally lubricated part. FUEL SYSTEM COMPONENTS: Fuel delivery pump, fuel injection pump, fuel injectors, electric EFI control modules, diaphragm, and flame arrestor. (Carburetors are excluded). POWER TRIM AND TILT COMPONENTS: Spring sending unit, oil pump, pump relief valve, spring, 0-ring, trim cylinder, tilt cylinder, manual release valve, hydraulic pump, reverse lock valve, power tilt motor, power trim motor, and trim switch. CONTROLS COMPONENTS: Neutral start switch, starter/choke primer switch, start/stop button, throttle control handle, throttle cam lever, throttle and shift cable, shift interrupter switch, tiiUtrim switch, and ignition switch. (Key and tumbler are not covered). STEERING COMPONENTS: Steering control helm assembly, steering bracket and bushing, swivel bracket bearing, control rack and yoke assembly, power steering pump, power steering cylinder, steering wheel and coupling, steering cable, and steering rams. SEALS AND GASKETS: Seals and gaskets are covered for those components covered by the Plan (except prop shaft seal). CLOSED COOLING SYSTEM: Engine water coolant circulating pump, oil cooler, heat exchangers. 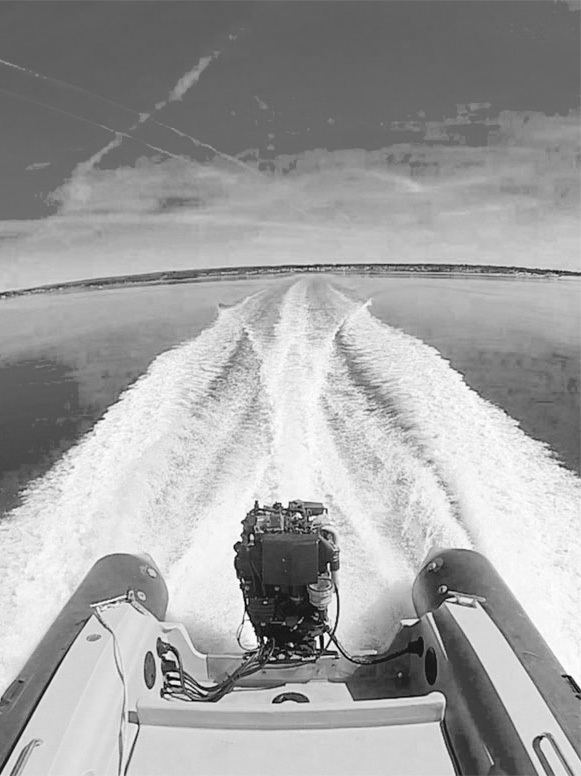 SKI AND WAKEBOARD TOWER: Manufacturer installed/ mounted ski tower, barefoot pylon, retractable/pop-up ski tow pylon, manufacturer installed ski tower lights (excluding wire harnesses). PLANING TABS: Pump, trim cylinders, planing plates. CRUISE CONTROL: Sensors, cables, modules, paddle wheel, pickups, wire harness, servo motor. BALLAST SYSTEM: Pump motor and switch, PVC fill pipe, ballast tank. FRESH WATER SYSTEM: Transom shower pump, cockpit shower pump, manufacturer installed port-a-potty. ELECTRICAL/INSTRUMENT PANEL: Tachometer head, voltage gauge, oil pressure gauge, trim/tilt gauge, fuel gauge, hour meter, temperature gauge, speedometer head, speedometer pilot tube, mounting bracket and control cable, battery main switch, battery isolator, battery selector switch, battery box, fuse block and holders, manual compass, horn, chart light, transom light, bow light, interior courtesy lights, and docking lights (excludes light bulbs), and windshield wiper motor. STEREO: Manufacturer installed in-dash CD player, cassette player and AM/FM radio. DIGITAL DEPTH FINDER: Unit, depth warning alarm, transducer, control cable, unit wiring harness and mounting bracket. TRAILER COMPONENTS: Brake drums, master cylinder, hydraulic brake actuator, spindles, springs, spring hangers, fenders, manual or electrical winch and stand, trailer frame welds, axles, hubs and bearings, backing plates, coupler, bunks, roller cradles and reverse block valve. DIGITAL DEPTH FINDER/FISH FINDER: Unit, depth warning alarm, transducer, control cable, unit wiring harness and mounting bracket. APPLIANCES: Galley sink and faucet, refrigerator/icebox. BILGE COMPONENTs: Bilge: Control panel switch, blower motor and wiring harness. 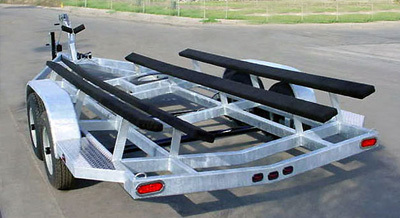 HARDWARE: Deck rails, handrails, bow eyes, rope cleats, anchor chocks, cockpit steps, top slides, top bows, deck plates, storage cover sockets and supports. INCLUDES ADDITIONAL COVERAGE FOR THE FOLLOWING FAILURES AS A RESULT OF THE FAILURE OF A COVERED COMPONENT: Detonation, pre-ignition, overheating, burnt intake valves, bent intake valves, scored pistons, tuliped intake valves, heat-collapsed rings, heatwarped heads, heat-cracked heads or blocks. In addition, coverage is not limited to the repair of manufacturer's defects. If a covered part fails due to wear, tear, or use ... it will be fixed!!! This bonus package is the best of both worlds. 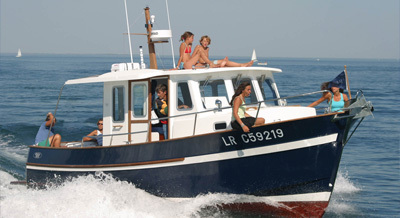 It combines all the features listed in the Cruiser and the Sport Fishing Watercraft Coverages. *Coverage begins at the time of purchase.